Our client is one of the first integrated comparison-shopping portal for healthcare products and services, that allows businesses and consumers to research, rate and purchase health insurance plans and Health Savings Accounts (HSAs). It was the first portal that helped customers review, rate and choose doctors, dentists and hospitals from across the country. One of the services provided on the website had been named Best Use of Technology to Promote Patient Care by the National Wellness, Prevention & Fitness Conference (NWPFC). The goal of this start-up has been to transform the way people manage their health, by putting consumers at the center of the health system-offering them better choice, convenience and control. This means gathering disperse information about health matters, remedies, medical procedures, service providers and insurance partners on the same platform as normalizing it for easy comparison. Right at the beginning, our client decided that it would focus the U.S.-based team on product marketing-scoping the business-side of the portal, the changing trends, and the flexing from customer feedback. It wanted to work with a product engineering partner who would work closely with the product team in building this entire portal from the beginning. The biggest difference in this engagement has been that the client's roadmap constantly changes-with minor or major twists to the portal goals. Correspondingly, the partner firm has to constantly deliver solutions within 24 hours or a fortnight, even as the portal tests new ideas, solutions, and tools with the larger audience. The challenge was to build a fully functional health care products portal within a very aggressive time frame. The low cost and high scalability requirements led us to adopt LAMP technologies. 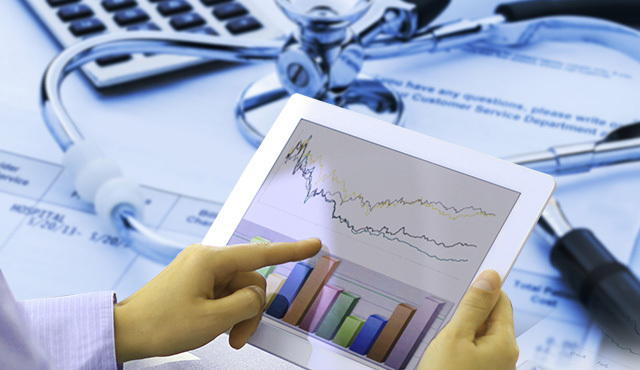 The Initial release of two distinct modules provided tools for corporate customers and individuals to research, rate and purchase health insurance plans and Health Savings Accounts (HSAs) depending on their specific requirements. Xoriant adopted a multipronged approach, different from the conventional, towards this project. To meet constant module enhancement requests, and to ease product upgrading challenges, Xoriant architects used Object-oriented programming concepts. Xoriant architects followed MVC architecture in the portal build-out. 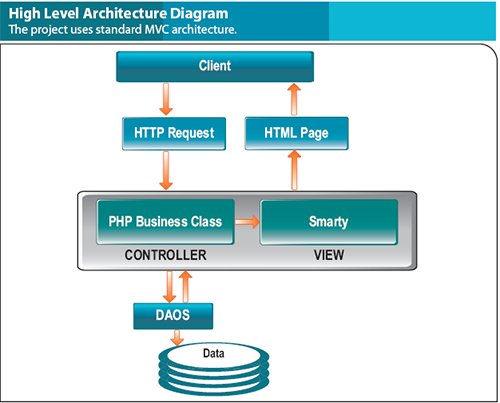 The framework uses Smarty to render the view and for model, and controller PEAR DB Data Object and PHP5 OOPS concepts. The product development process became visible, controllable and manageable. Effective knowledge sharing between team members helped the team to contribute more. Collective responsibility was taken by team to ensure project success. Flat communication model, ensured no communication loss. Resource planning was done in such a manner that the team size would increase in a phased manner. This brought down the total cost of the project. Xoriant earmarked on a plan that involved the deployment of the software remotely from India. Using Cisco VPN connectivity, Xoriant had the product deployed on the servers in USA.